Clinically proven to leave scalp feeling calmer, healthier, less irritated and less itchy. Works with Pure-formance Conditioner to soothe and relieve scalp while cleansing, conditioning, moisturizing and adding shine to hair. After just two weeks: • 72% experienced a reduction in oiliness and greasiness • 65% experienced a reduction in scalp dryness and itchiness • One of 7 groundbreaking products honored with Gold-level Cradle to Cradle certification. Rich, spicy and refreshing aroma with kunzea, citrus and certified organic essential oils of spearmint, vetiver, and lavender. Massage small amount of shampoo into wet hair and scalp. Rinse well. Follow with Pure-formance Conditioner. Clinically proven to leave scalp feeling calmer, healthier, less irritated and less itchy. Works with Pure-formance Shampoo to soothe and relieve scalp while cleansing, conditioning, moisturizing and adding shine to hair. After just two weeks: 72% experienced a reduction in oiliness and greasiness 65% experienced a reduction in scalp dryness and itchiness One of 7 groundbreaking products honored with Gold-level Cradle to Cradle certification. Rich, spicy and refreshing aroma with kunzea, citrus and certified organic essential oils of spearmint, vetiver, and lavender. Massage small amount of conditioner into wet hair and scalp. Rinse well. Works best when used with Pure-formance Shampoo. This unique daily shampoo adds body to fine hair—without stripping, build-up or static electricity. Formulated with peppermint to awaken your senses and rosemary to help protect from environmental damage. Its pure plant aroma naturally energizes and motivates your mind and body. • For fine to normal hair. Massage onto wet hair and rinse. Follow with Rosemary Mint Conditioner. 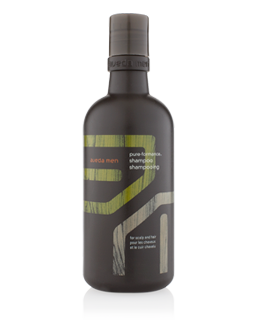 This daily conditioner adds weightless body and shine while preventing tangles and static. The tonic properties of rosemary and peppermint cool and revitalize your scalp. • For fine to normal hair. After shampooing with Rosemary Mint Shampoo, add a small amount of Rosemary Mint Conditioner to hair. Massage onto hair and scalp. Rinse. Cleanses, exfoliates and renews the scalp with wintergreen-derived salicylic acid. Clinically proven to remove the build-up of sebum and product residue that can clog pores and affect healthy hair. Nourishes dry, tight scalps with extracts from millet seed and milk thistle, equalizing the lipid balance. Contains densiplex – an invigorating blend of Ayurvedic herbs, including turmeric and ginseng. One of 8 groundbreaking products honored with Gold-level Cradle to Cradle® certification. Massage into wet hair and scalp. Rinse. 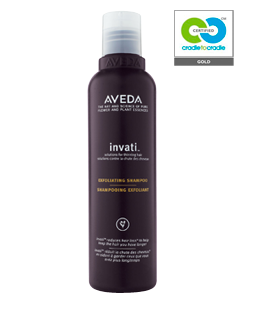 For best results, follow with invati thickening conditioner and scalp revitalizer. Rinse. Arginine derived from sugar beets and soy protein is clinically proven to restore strength and improve hair elasticity, reducing breakage. Clinically proven to thicken hair with a blend of guar, palm and grapeseed-derived ingredients. Organic kukui nut oil helps add natural shine. Contains densiplex – an invigorating blend of Ayurvedic herbs, including turmeric and ginseng. One of 8 groundbreaking products honored with Gold-level Cradle to Cradle® certification. 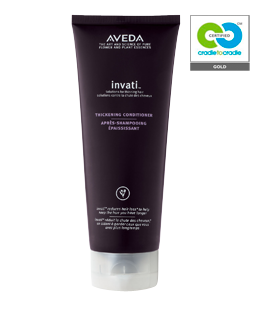 Massage into wet hair and scalp after shampooing with invati exfoliating shampoo. Rinse. Towel-dry. 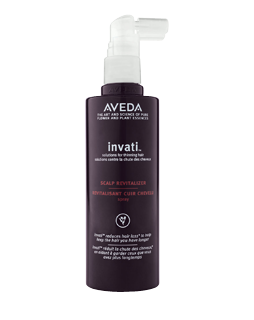 For best results, follow with invati scalp revitalizer. A blend of vitamin E ingredients is proven to help accelerate microcirculation with therapeutic massage. Lifts fine hair up and fills it out. Hair looks fuller, feels thicker, stays more abundant. Plant-based formula boosted by certified organic acacia gum. Aroma with jasmine, certified organic peppermint, palmarosa and ylang ylang. Massage into damp hair. 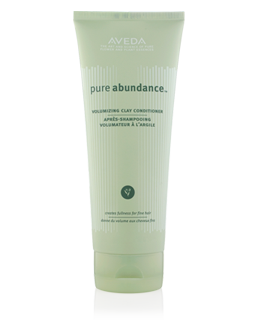 Follow with Pure Abundance Volumizing Clay Conditioner. Don’t skip conditioner because you think it weighs hair down; our lightweight kaolin clay formula is actually a crucial step to volume. Boosts volume—helps fine hair look fuller, feel thicker, stay more abundant.Breakthrough blend of kaolin clay and certified organic acacia gum to lift up and fill out hair. Aroma with jasmine, certified organic peppermint, palmarosa and ylang ylang. 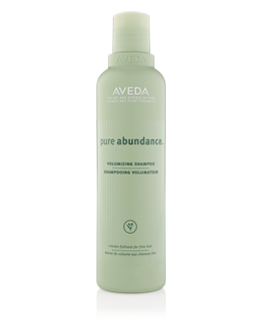 After using Pure Abundance Volumizing Shampoo, smooth conditioner from roots to ends. Rinse. Don’t skip conditioner because you think it weighs hair down; our lightweight kaolin clay formula is actually a crucial step to volume.